Are you planning for an outdoor activity like hiking or trekking? 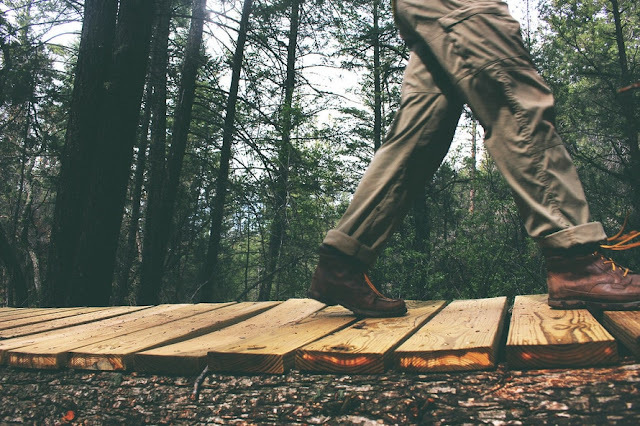 Everything you should carry for a trek or a hike should be of first class, a small mistake can cost you dearly and can mitigate your trekking or hiking experience. We discussed about best trekking or hiking essentials for beginners in my previous post (click here), now in this post we will discuss about one of the best trekking essentials, i.e., Trekking or hiking Pants. We will discuss here how to choose pants that are best for outdoor activities like trekking and hiking. There are many aspects to consider before buying a good pair of hiking pants for you. Through the help of this post, I will try to describe all the features that a pair of best hiking pants must have and all the important points to consider before buying one. 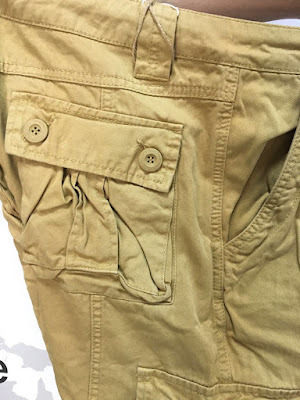 Deep Zippered Pockets- If you are going for trekking and hiking, keep in mind that the pants you wear must have very deep pockets, the first benefit will be that you can put more accessories in your pocket and the second advantage of deep pocket is any thing you put in pocket will go deep under the pocket and there are negligible chances of falling it. You can also carry more than usual accessories in the pockets. No to cotton- If you are planning a hiking trip with cotton pants. Then you must read this point. Cotton is a cloth that retains moisture whether from external elements like rain, snow or internal sources like body sweat. Even more cotton takes forever to dry and can potentially even freeze up if temperature drops enough. So if you had thought of going to the Hiking or trekking wearing cotton pants, then you were making the biggest mistake of your life. 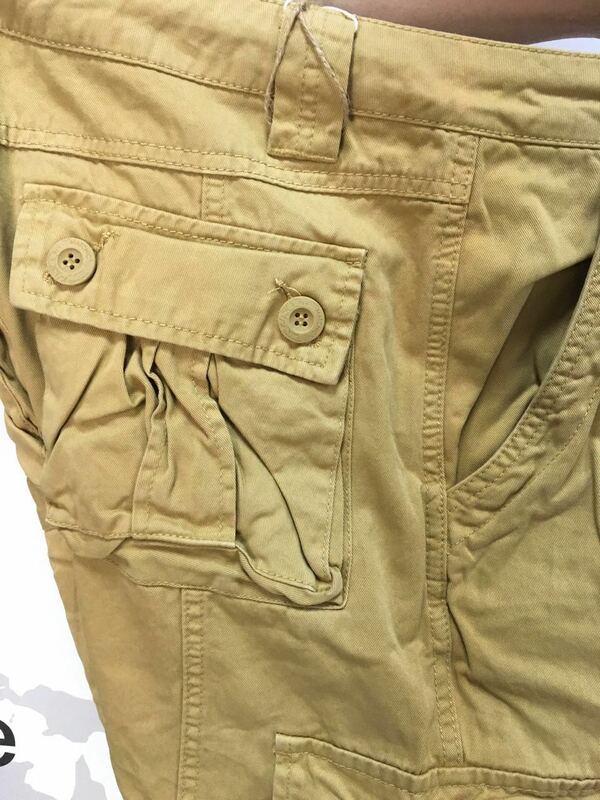 Lightweight- Hiking pants are made robust to face the hassles of the path and many manufacturers make pants heavy in this process. The best material for pants is NYLON. Nylon is light in weight and robust at the same time. Light pants doesn't strain the legs and waist and makes the movement in rugged and uneven trails comfortable. Breathable fabric- You can't go for hiking with the cotton pants, Best material for hiking and other outdoor trips is Nylon. But Nylon clothe is not breathable but can be made breathable. So you should make sure that the material should be woven in such a way to freely allow the escape of air and moisture and the fabric will be breathable. In addition to this a pair of detachable pant (from knees) work wonders to provide extra breathability during hiking or trekking. Water repellent- It's very essential to have water repellent pants if you are going for any outdoor activities like hiking or trekking. Water repellent pants are necessary to keep yourself dry in uncomfortable water conditions. No one can predict what the coming weather will be. Nylon hiking pants are best regards to repelling water, Nylon has a very low moisture absorbency and is very fast in drying. 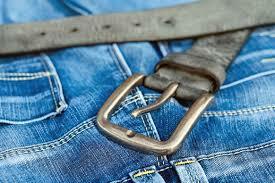 Elastic bands- A good outdoor pants must have an elastic band in addition to belt loops. The elastic band should be comfortable and not much tight. The elastic bands along with belt loops provide extra security in case you encounter any unforeseen incident. 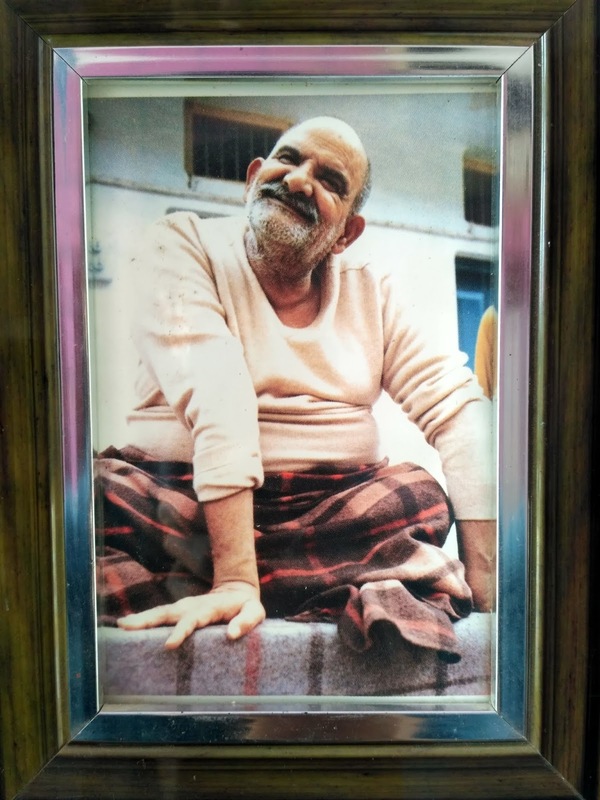 There are many incidences and real stories about Neem Karoli Baba that are very interesting and good to hear and these interesting stories are enough to describe the majestic aura of the Neem Karoli Baba and can make anyone incline towards Neem Karoli Baba. These interesting stories were known in today's times either by the Neem Karoli Baba's contemporary devotees or by the descendants of those devotees. May 1958, Home of Chandra Lal Sah, Nainital. In the morning at 4 a.m., the ladies started doing Aarti of Neem karoli Babaji. My uncle [Puran Da (“Kakka”)] woke me up. For a young man of 18 years, it was not a very pleasant idea. Without showing [it] outwardly, I grudgingly got up and went near him. Someone put the Aarti [lamp] in my hand and I waved as everyone was doing. I did my turn and passed [it] on to others. I sat down a little distance from him. His face was radiating [a] divine glow, happy and loving. You did not feel like taking your eyes off his face. When the Aarti ceremony was over, Neem Karoli Baba looked at me and beckoned me. I got up, went and sat near him. Baba said, “THIS BOY IS THINKING THAT BABA IS NEITHER SPEAKING TO ME NOR HE IS LETTING ME GO.” With this, he gave a firm and loud pat on the back of my head. What happened to me next were a simultaneous series of emotional explosions. I started shedding silent tears in streams, and the wrenching in my heart was incredibly delicious – the total quieting of my mind and my thoughtless realization of the giant void created in the ethereal presence of the Master. There was no longer need for a Guru – God came and sat in my heart, pervaded every fiber and cell of my being. All divine incarnations, all prayers or incantations ever made in any religion or any language, were completely encapsulated in that "pat" at 4 a.m., and the chip that was implanted at that moment finished all the dualistic experiences I might have had to undergo at various stages of my spiritual journey. [- from Ravi Prakash Pande (Rajida), “The Divine Reality” 2nd ed. (2005), pp. 311-313. One of the mothers from Bhowali used to come to Kainchi every Tuesday when Baba was there to offer him kachauris [stuffed deep-fried bread]. The kachauris were simple and made with love. Baba ate them with relish and called the woman Kachauri Mai. In September 1973, thinking that Baba was no longer alive, she discontinued her routine. However, in February 1976 she had a dream in which she was standing with the empty plate on which she used to offer her kachauris to Baba. Baba took the empty plate from her and said, "YOU HAVE NOT BROUGHT KACHAURIS. YOU THINK I AM NOT ALIVE. I STILL LIVE AT KAINCHI. YOU MUST BRING KACHAURIS." The woman woke up and decided to continue her previous routine again starting the next Tuesday. Let's know some life stories of Shri Shri Neem Karoli Maharaj. [- from Sudhir [Dada] Mukerjee, “By His Grace: A Devotee’s Story,” (1990), pp. 83-84. We were walking around and Neem Karoli Babaji caught hold of my hand. When he did that I would sometimes experience such a heavy pressure that I felt my hand would break. He was leaning so heavily on me, I was afraid that if I fell down, he would also. It was early afternoon and we came before the Mandir where many people were sitting.Neem Karoli Babaji sat before the Shiva temple, my hand locked in his hand. He said, “BAITHO, BAITHO.” [Sit, sit.] I wanted to extricate myself, but could not ... Now I was feeling as if I were suffocating, as if my breathing were coming to an end. My hand was so tight in his grip that there was no question of getting free. Then I saw, not Babaji, but a huge monkey sitting there, long golden hair over the whole body, the face black, the tail tucked under the legs. I saw it clearly. I closed my eyes, but I still saw it.After that, I don’t know what happened. At ten o’clock that night, I found myself sitting alone down by the farm. Purnanand, from the tea shop, came and said, “Dada, here you are. We have been searching for you all evening.” He took me back to the ashram …The next day Gurudat Sharma and Siddhi Didi and others kept asking me what had happened. They told me that we had been sitting there in front of the Shiva temple, surrounded by many people, when suddenly we were both missing. The Neem Karoli Baba and I were seen walking on the top of the hill. An hour or two later, Baba returned alone.I knew what I had seen – that it was actually Hanuman. It was not a dream, not a mistake. I have no memory of how time has passed. The weather in Nainital is highly unpredictable, every prediction falls fail in case of Nainital. The rainfall can occur anytime and the weather can turn from black to sunny in no time. No advice can be given, no forecast can be done in respect of Nainital's weather. Nainital's weather is often compared with the weather of London. Nainital is a year round destination, still the best time to visit Nainital is from March to June (not so hot, not so cold). I will try to describe the weather of nainital in different months and clothe to wear by categorizing different seasons in Nainital. 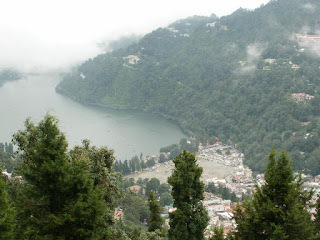 April to June is regarded as the best time to visit Nainital. It is usually a little warm in the day and gets cold at evening during the month of April. From the month of May the weather starts to get a little more warm and gets pleasant by evening. By the start of June the weather becomes more warm during day time and more pleasant by evening. The maximum temperature in Nainital in the month of June increases by up to 30 degree Celsius but touching the lake water and the cold wind around the lake coupled with rain splashes here and there fills us with new zeal and refreshes our body and mind. 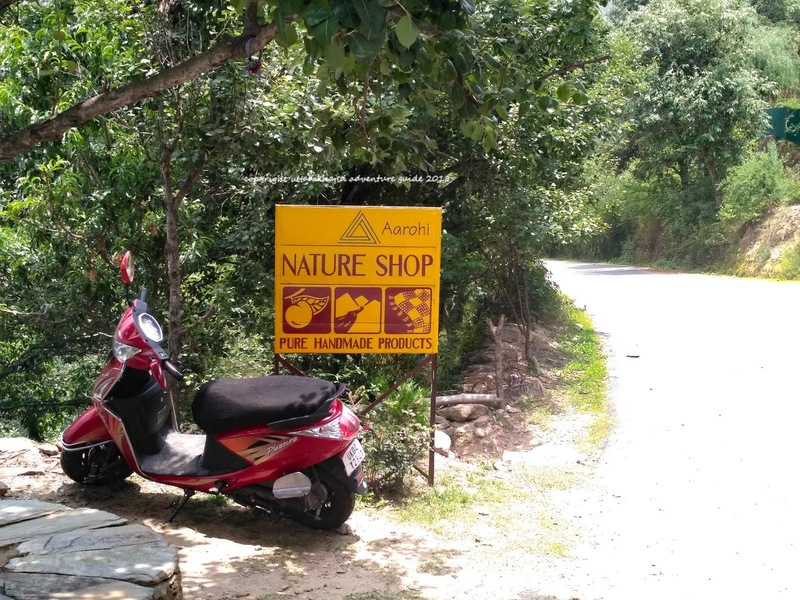 May and June are peak season for nainital as there are school holidays in the north part of India and most of the crowd of U.P, Delhi, West Bengal, Punjab and Haryana are there. So it is advisable to book the hotel in advance. Clothes depend on the personal ability to face weather still just to be on a safe side While Travelling Nainital in the month of April one must carry light sweaters and light jacket, especially the oldies must carry. In the month of May and June full sleeved shirts will do the work just to be on a safe side one can carry a lite sweater. *No need to bulk up your backpack and carry heavy woolen clothes. From the end week of June the monsoon starts knocking the door of Nainital. Due to the difficulties of travel and the problems of landslides, people avoid travelling to these hilly areas, though after sufficient amount of rain the mountain look like green emerald. The hotel offers lucrative discounts during Monsoon months. The Administration of Government has become proactive since the 2013 Kedarnath Tragedy, the road blockages or landslides/ road slides are cleared as soon as possible. The road to Nainital is not much prone to landslides compared to other hilly roads. In the month of July. August and September full sleeved t-shirts and shirts will do the work, but after the splashes of rain it becomes a little cold in Nainital, therefore, one must carry sweaters and shawls to Nainital travelling in the months of July, August and September. From the mid of September, the rainy season ends. This is the best time to visit if you want to see the beauty of mountains. After the monsoon the mountains are seen to be washed. Days are hot while the evenings are slightly cold still pleasant. 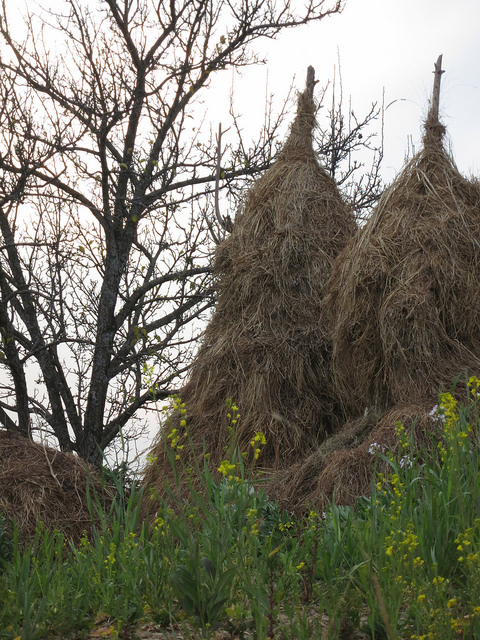 Time for the haymakers/ croppers to cut the grass that has germinated in the monsoon and make grass stacks (loote). This beautiful weather exists till the mid of November. This is the best time to do boating in Nainital lake as the days are slightly hot but still manageable in comparison to the days of May- June. Sweaters and light jackets are must while travelling to Nainital in the months of September, October & November. The cold breezes of Nainital during the morning and evening can make one sick and suffer from cold. Weather from the mid of November to March. From the mid of November the winds starts to become chilly, now the days become pleasant and the evenings nights and the mornings become chilly. Fire become a necessity. The weather become even harsh in the months of December and January, although Nainital is a paradise for snow lovers in those months. Nainital gets completely packed during the end and starting week of the year. Very high chances of Snow fall in the month of December and January. Weather is sunny but cold at the same time, days are pleasant, one can stay under the sun all day long. This extreme cold weather exists till mid of February. From the mid of February the cold waves starts buzzing off, there are blooming flowers everywhere. 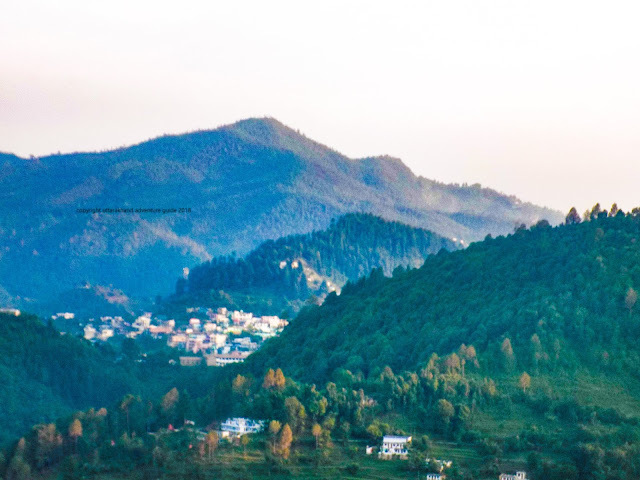 The atmosphere and aura of Nainital and around Nainital looks very beautiful in the month of February and March, the weather and city looks photogenic. The weather becomes pleasant with the slightly cold waves at the evening and morning time. 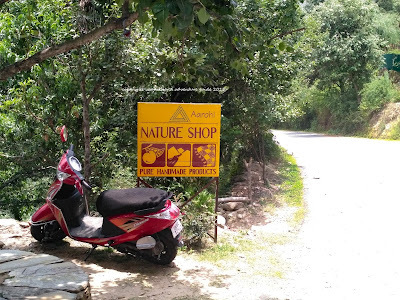 The hustle and bustle in the Nainital starts growing from the month of March. The cold waves starts blowing from Himalayas to Nainital in the starting of November and are at extreme in the months of December and January. Heavy woolen clothes are must along with heavy jackets while travelling to Nainital in December and January. The cold chilly waves continue to blow until February from the start of March weather becomes pleasant still one needs to carry sweaters while travelling to Nainital in March. 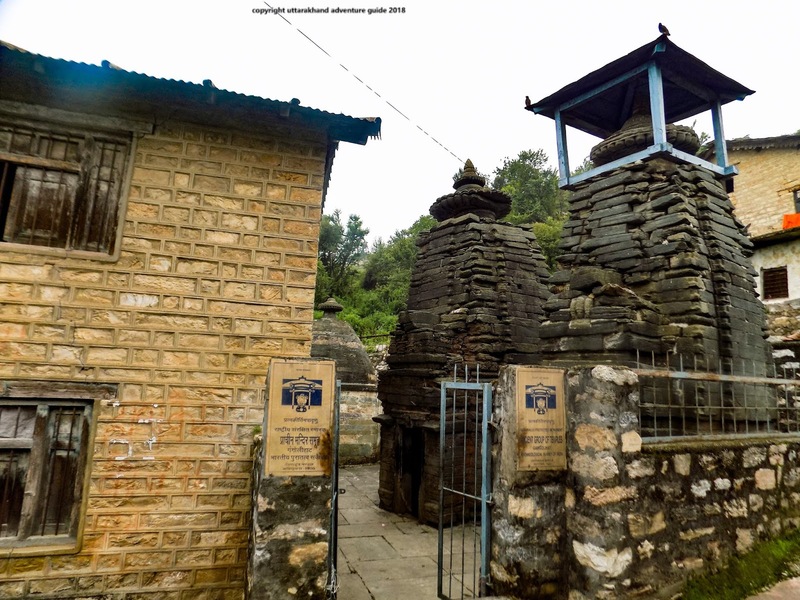 Haat (hat) kalika mandir gangolihat pithoragarh wiki, history, haat (hat) kalika temple gangolihat how to reach, places to stay, places to visit in gangolihat. Haat (hat) kalika temple Gangolihat wiki, हाट कलिका मंदिर गंगोलीहाट पिथौरागढ़, haat (hat) kalika temple Gangolihat history, haat (hat) kalika images, haat (hat) kalika mandir Gangolihat Pithoragarh, haat (hat) kalika youtube, how to reach Haat kalika temple gangolihat. in the 9th Century. This Haat Kalika Shakti peeth's history dates back to more than thousand years old and is an important pilgrimage site among Indians especially for the Bengali people and the people of Uttarakhand. The pilgrimage is one of the most famous pilgrimages situated in Uttarakhand. 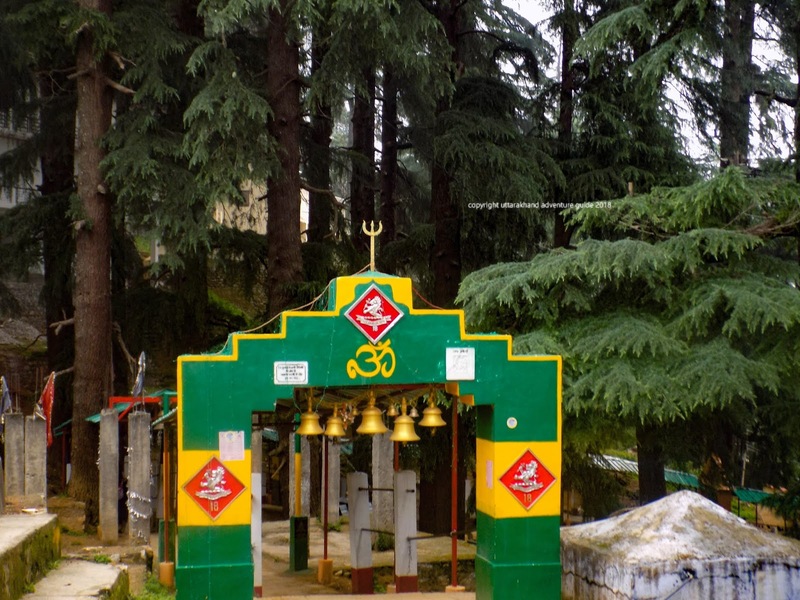 According to popular belief, during ancient time after being defeated from Shumbh the deities came to Shail parvat they eulogized the goddesss to get rid of the vices of the demons. Being pleased by the devotion Goddess Durga took the form of Mahakali and killed the demon "Shumbh". 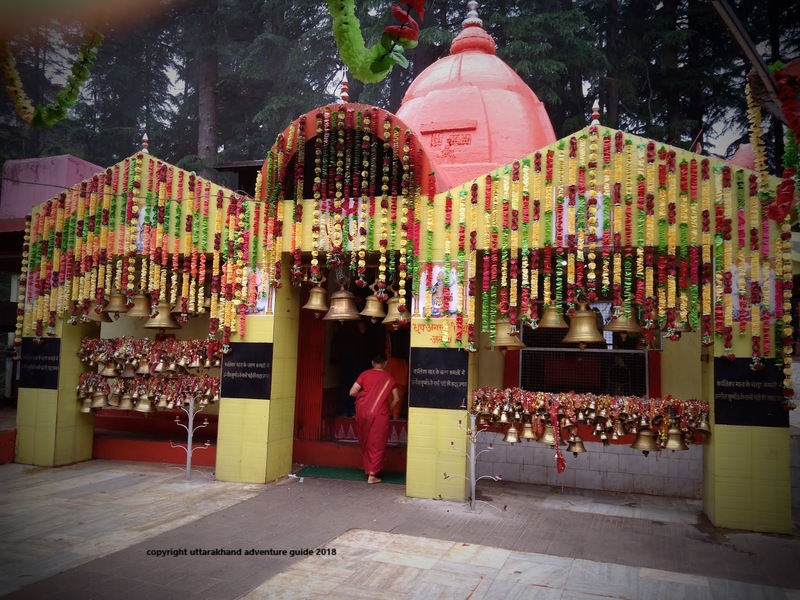 The deities worshipped this furious form of Mahakali at this place, since then this place is famous as the Mahakali Shakti peeth. 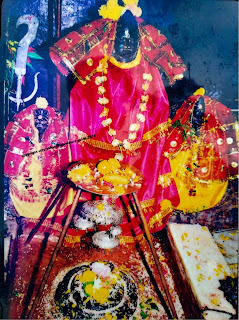 When patriarch Shankaracharya was travelling from Pashupatinath to Kedarnath, he came to this Shakti peeth and worshipped 'Mahakali'. The famous Haat Kalika Mela (fair) is organised at this place, visitors come from far flung places to offer prayers to 'Mahakali'. 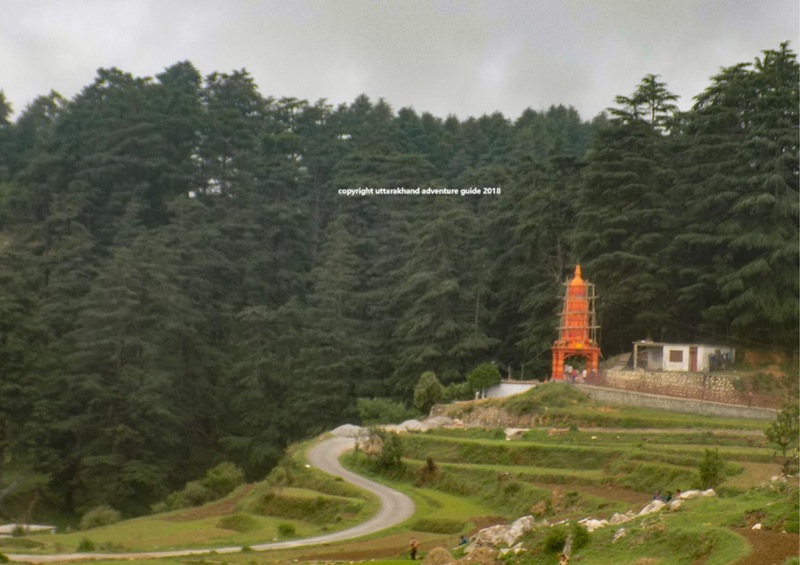 This temple is of high importance for the India Armed Forces' Kumaon Regiment as well. 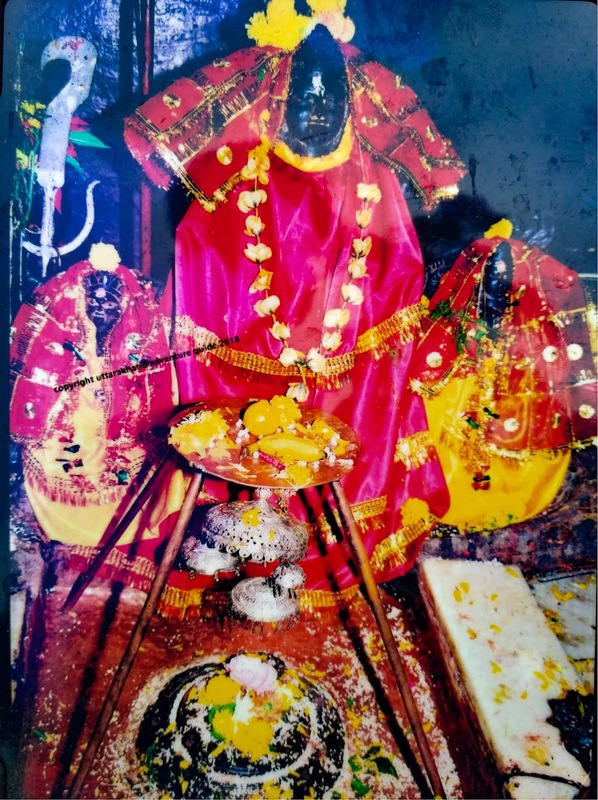 Goddess Mahakali is designated deity of Kumaon Regiment. 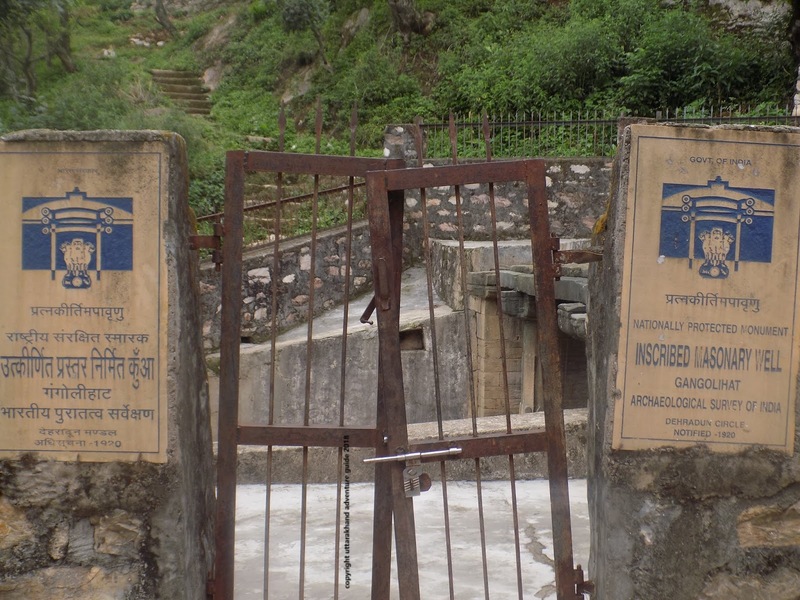 Insignias of Kumaon regiment and glorious sagas of Kumaon regiment can be seen written at the temple premises. 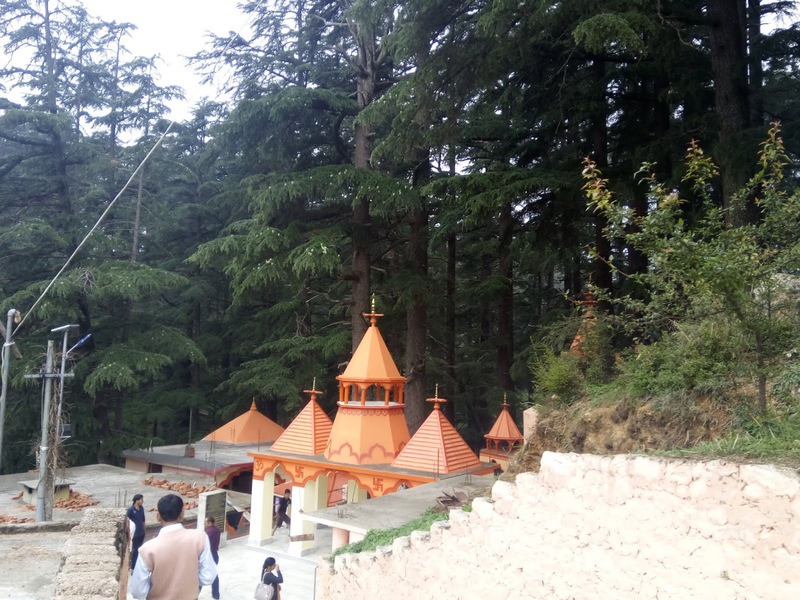 Kumaon regiment has also built a rest house for the servicemen and the ex servicemen who come Gangolihat to get the blessings of Goddess Mahakali. One should not miss the morning and evening prayer of Haat Kalika temple, the magical presence of Maha Kali can be felt at that time. 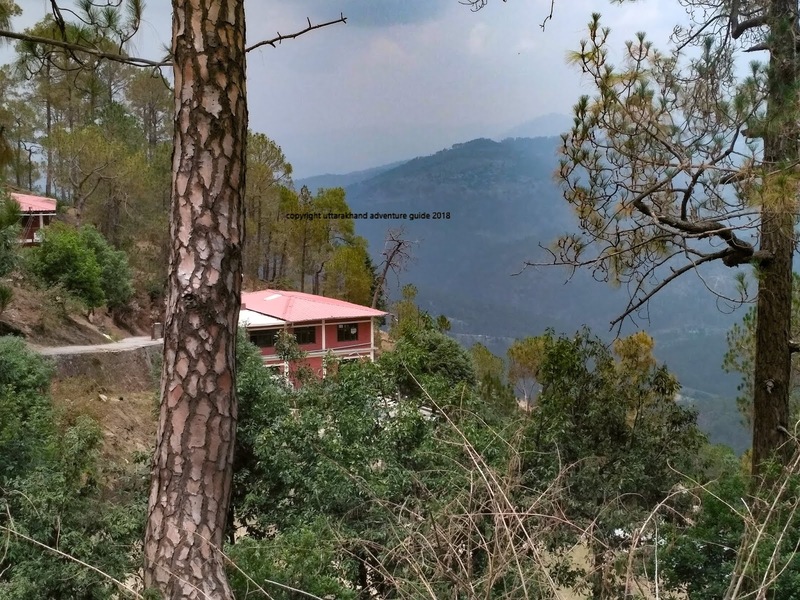 From Delhi one can hop on the Ranikhet express and reach Kathgodam by 6 A.M, from Kathgodam Haldwani there is a direct roadways bus to Gangolihat. There is one more route that bifurcates 20 km ahead of Almora (next to petrol pump), instead of going to Berinag road one has to go in Almora- Pithoragarh road, on this route there is the Jageshwar Dham, jageshwar dham is among the 12 jyotirlingas. The distance from both the routes is almost equal i.e 180 kms. Jageshwar- Danya- Panar- Dooni.- Gangolihat - Patal Bhuvaneshwar. The second route is best if visiting Gangolihat prior to Patal Bhuvaneshwar. Note 1* If you are coming from Delhi by road then the Delhi - Rampur - Moradabad - Rudrapur road is best, there is four lane highway till Rampur and beyond that 2 lane highway till Kathgodam (Haldwani). Note 2* The road from Panar to Gangolihat is a single lane road. 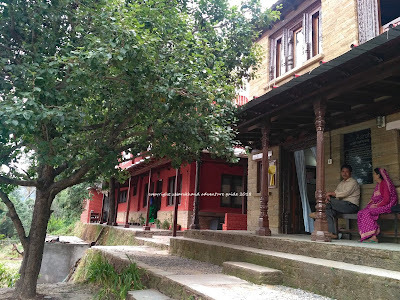 As Gangolihat is not a city, there are a limited number of hotels the KMVN here is also very poorly maintained, thanks to the credibility of being a adventure guide we were able to get a good hotel in reasonable price in Gangolihat. As the number of hotels are less and visitors are more, Prior booking is a must if you are planning to visit Gangolihat. Apart from Haat kalika temple, Gangolihat is also famous for chamunda temple, vaishnavi mandir, caves like patal bhuvaneshwar. 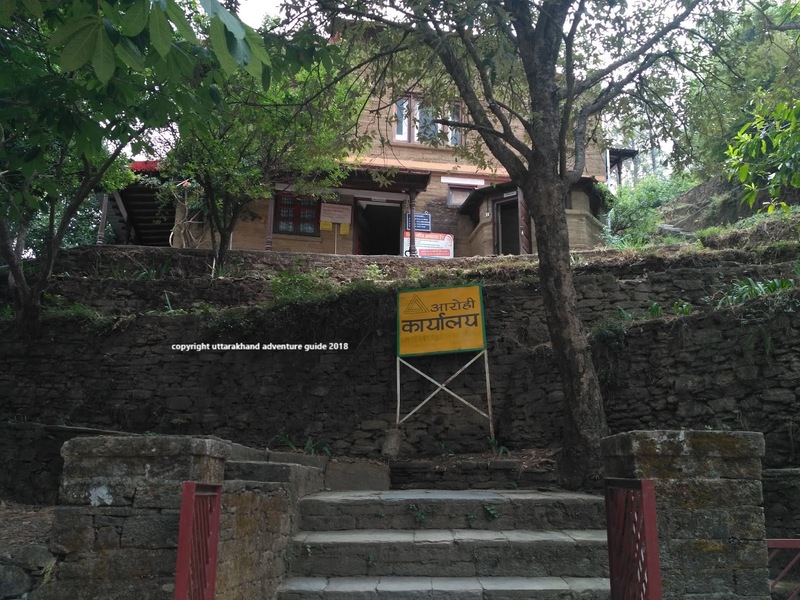 Chamunda temple is just 2 kms from Gangolihat's main market on the Chamunda road, Vaishnavi mandir is famous because one can witness the clear view of Himalayas from this mandir. There are a large number of ancient ruins in Gangolihat (Chand rajas) that are worth visiting to get to know about ancient architecture. These sites are protected and preserved by Archaeological survey of India. Pithoragarh fort just 77 kms. One can visit Gangolihat all around the year, the weather is favourable most of the part of the year but it is advisable to not visit this place during monsoon as this place is prone to landslides and lightning strike. Though it snows during winter but is is still manageable to visit Gangolihat. The weather gets hot during summer in Gangolihat, and the view of Himalayas is not very clear but in winter there is crystal clear view of Himalayas in winter. Aarohi is a not for profit non government organization established in the year 1992 headquartered at Satoli village of Nainital district. Aarohi organization was established by Dr Susheel Sharma and Mrs. Oona Sharma, a doctor and rural manager by profession respectively. The aim of Dr. Susheel and Mrs.Oona Sharma for setting up this organization was to promote rural development. Aarohi successfully completed its Silver jubilee (25 years) in 2017 and after 25 years Aarohi has spread over 100 villages and has benefitted more than 50000 peoples. 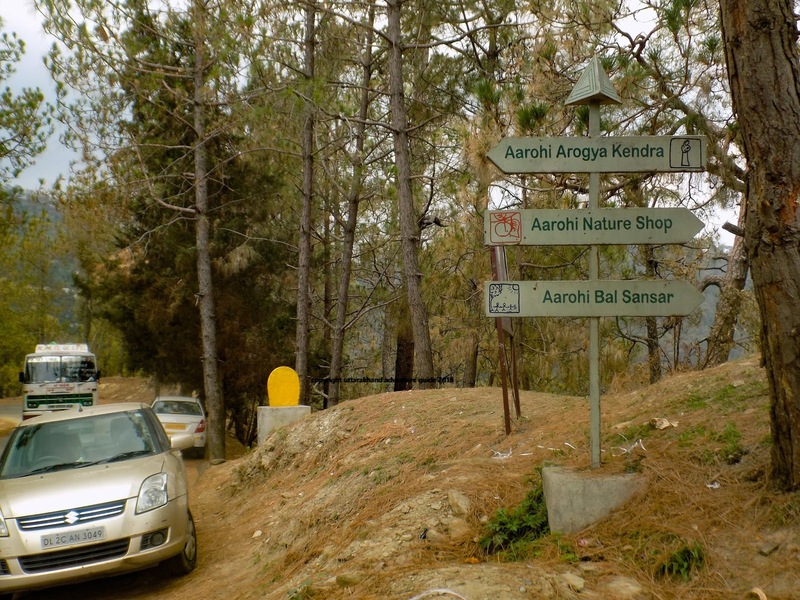 Aarohi has its headquarter in Satoli, a village 2000 metre above the sea level. Aarohi organization encourages rural development and focuses on basic needs of rural society. 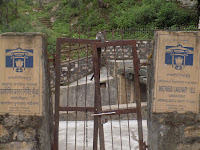 Aarohi has its own school in Satoli village "Aarohi Bal Sansar". Aarohi Bal Sansar is providing free education to hundreds of children. Apart from that Aarohi also offer mid day meal to students and many other benefits like scholarships up to 50000, trips and tours and also takes children from Aarohi to "International Children's Film Festival"
Aarohi has its own hospital in Satoli village, that offers very inexpensive healthcare services, people from local to distant areas visit and get benefits. Aarohi is one of its own hospital in the nearby 50 villages. Villagers feel very thankful to Aarohi for their services. Oil of Apricot and body care products. Hand made (by villagers) home decors. 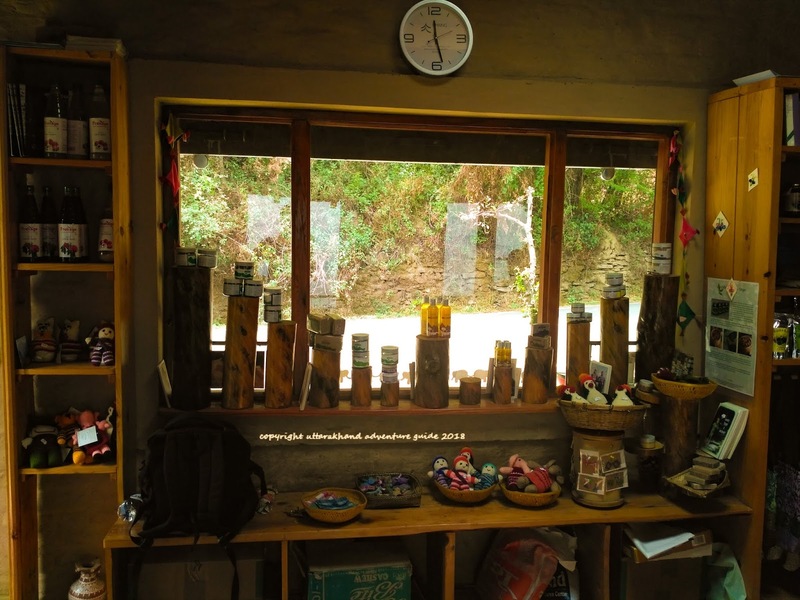 Aarohi' s mission is to create development opportunities for rural Himalayan communities through quality education, healthcare, enterprise promotion, women's empowerment, sustainable natural resource use and the revival of traditional culture. Aarohi was awarded with a SIRIRAM WASHESRAM DEVI AWARD in the year 2004 for outstanding development contribution to Rural Kumaun.